Corporate Action implies an action at the corporate level which has a significant impact on the stakeholders and the financial structure of the company. These events are initiated by the issuer of securities, which may impact the stakeholders positively or negatively. There is an immediate impact on the share price, whenever the company is planning to come up with corporate actions. It is very important for a shareholder to have an understanding of how does corporate actions work and how will it affect company’s share price and performance. This understanding will aid shareholders in deciding whether to buy or sell a particular stock. Also Read: Corporate Action – Is it a call to action for a Shareholder? These corporate action decisions are taken by a company’s directors with the motive of increasing the company’s profitability and for stakeholders’ benefit. It will be further authorized by the company’s shareholders. Some of the popular examples of corporate actions include Right Issues, Bonus Issues, Dividend, Stock Splits, Mergers and Acquisitions and Spin-Offs. It is done with the intent to increase a company’s profitability. Some of the common examples include Spinoffs, Mergers and Acquisitions. The liquidity of the stock is greatly impacted if the stock price is too high or too low. If the stock price is too high, there is a big question mark on the affordability to all investors. On the other hand, if the price is too low, it may be looked upon as a bad investment. Corporate actions like Stock Splits, Reverse Stock Split or Buyback are few examples to influence the stock price. The dividend distributed could be in the form of cash or stock dividend. In case of cash dividend, the company declares a dividend to be paid on each outstanding share. However, bonus issue involves an issue of additional shares to shareholders instead of cash. Corporate actions can be classified as voluntary, mandatory and mandatory with choice corporate actions. Voluntary corporate action requires decision whether the shareholder is willing to participate or not. In order to process the action, a response needs to be communicated to the company. Right Issues, Buyback of shares and Tender Offer are some of the common examples of voluntary actions. It is an offering of subscription rights given to existing shareholders to buy additional securities in a company before it is offered to the general public. A Right Issue is usually in the form of a Stock Split and the existing shareholders are being given an opportunity to take an advantage of the new development in the company. A Buyback is an arrangement where the company gives an offer to buy back shares from the existing shareholders at an attractive rate. It is done with the intent to reduce the shareholder’s stake and also to lower the outstanding shares in the company. Also Read: Why Buyback of Shares is Done? It’s an event led by company’s board of directors which affects all shareholders. It’s compulsory to participate in these corporate actions. Some of the common examples of mandatory corporate actions include Bonus Issue, Mergers and Acquisitions, stock split and spin-offs. A Bonus share is an additional share given to the shareholder without any extra cost based on the number of shares you own. Though the issue of bonus shares increases the number of shares but the value remains unchanged. For example, Shivalik Rasayan Ltd, declared a bonus of 1:4 on 05-03-2018 with a record date on 20-04-2018, so for every 4 shares held before 20-04-2018, you will be entitled to a bonus share. To know more about corporate actions and their impact on shareholders you may enroll for NSE Academy Certified Capital Market Professional (E-NCCMP) course on Elearnmarkets. In Stock Split, the existing shares of the company are divided into multiple shares.  Say a company has 1000 shares of Rs 100 per share (1000*100=100000). The company decides to split the share for 2 for 1, thus the number of shares now stands at 2000 but the overall value is still the same (2000*50). The main motive behind the stock split is to increase the liquidity and make it affordable for the small investors. Recently Atharv Enterprises had a stock split of 10:1 on 12-04-2018. An investor holding 100 shares would be turned to 1000 shares post-split. However, the opposite happens in case of a reverse stock split, where the number of outstanding shares is reduced. In a Merger, two or more companies agree to merge themselves in order to increase the scale of operation and profitability. Similarly, an acquisition is an event where the bigger company acquires a smaller for further expansion. The best example of a merger is Vodafone and Idea, which is likely to take place in April 2018. It leads to a creation of an independent company through sale or distribution of new shares of an existing business. In simple words, it’s a type of divestment. It’s a mandatory corporate action for the shareholders but they are given an option to choose from several options. A common example is a cash or stock dividend payout with one of the options as default, where the shareholder may or may not submit their election, the default option will be applied. Dividend is a mechanism through which the company shares the profit with the investor. A dividend can be in the form of a cash dividend or stock dividend, which is issued at a specified interval of time i.e. quarterly, semi-annually or yearly or a combination of these. When the dividend is distributed, the equity of a company is reduced since the distributable equity is reduced. The price of share gets reduced by the amount of dividend. Say the share is trading at Rs 100 and company declares a dividend of Rs 2/ share, so on the day when the dividend is distributed, the price of share post dividend will trade at Rs (100-2) i.e. Rs 98. Whereas, in the case of a stock dividend, the shareholder gets additional shares. Say the company declares a stock dividend of 20%, it means that for every 10 shares held, the shareholder gets two additional shares. Since, it increases the shares outstanding by diluting the earnings per shares, so it led to the decrease in share price. In short, there is no change in the overall value, but it’s just an accounting entry. Whenever the company announces a corporate action, the company’s registrar informs the registered shareholders about the respective event. Moreover, it’s very important to have an understanding on different types of corporate actions to get an idea about how do corporate actions affect the sharemarket and in turn the shareholders. These actions may have a huge impact on the stocks and can portray a lot of information to the shareholders about the company.